Can we decorate a space with letters and numbers? Apparently yes and the effect is very pleasant! Sequences of letters and numbers, random or designed, ready for delivery or decorated DIY, of different sizes and materials: it is called lettering and the trend of recent years. The words take shape in our environments, with combinations picked in antique markets, often mixing styles, colors and sizes. Some people prefer the letters on the chimney of the house, as proposed in photos of settings by Maisons Du Monde, somebody use them to define the entrance in one of the rooms, such as bathrooms and those who attach them to the walls of the living room. 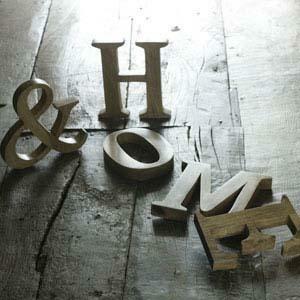 Vintage letters, usually in colored wood, but also in cardboard or rusted metal, become graceful and poetic furnishings with a slight retro flavor. They recall the memories of school books, but generally they are remains of ancient signs or billboards of the 70s. 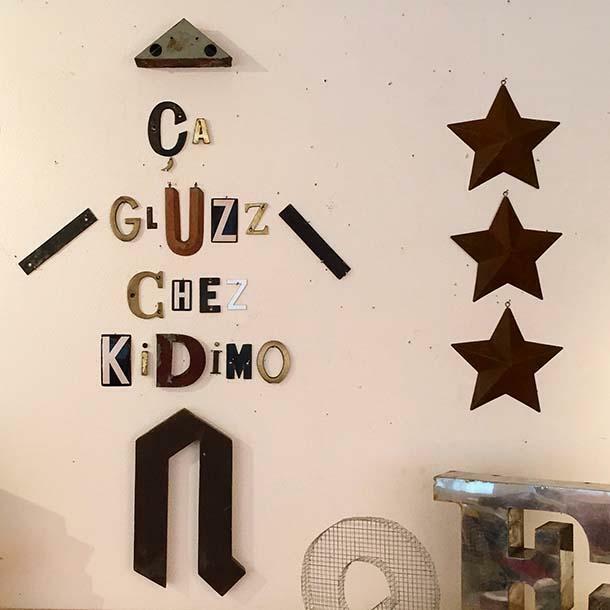 Among them, we include those now famous by Kidimo, a shop-laboratory teeming with ideas and creativity, in the heart of Paris. Here the words take shape thanks to the patience of Nicolas Flachot, creative enthusiast of vintage furniture, going around old markets and warehouses, doscover metal letters, in bakelite and wood, from scrap signs. 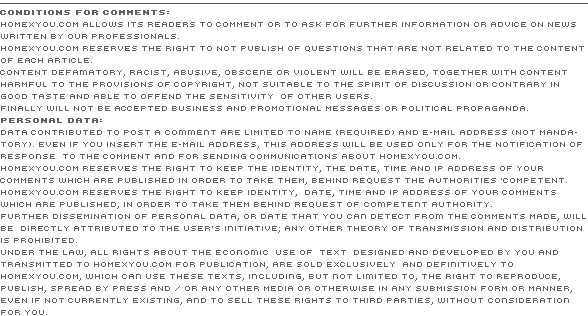 On request, also on line are composed words with different colors and shapes, then shipped within 72 hours. The costs are not exactly affordable for all budgets, but the result is of guaranteed quality. Again in France there is Decoclico, an online platform where to find vintage letters, maybe a bit ruined, but of sure effect. The letters are the source of inspiration of the wonderful library AAKKOSET, designed by the Finnish designer Lincoln Kayiwa, that gather several books and magazines in the empty space created by the outline of the letters of the alphabet. 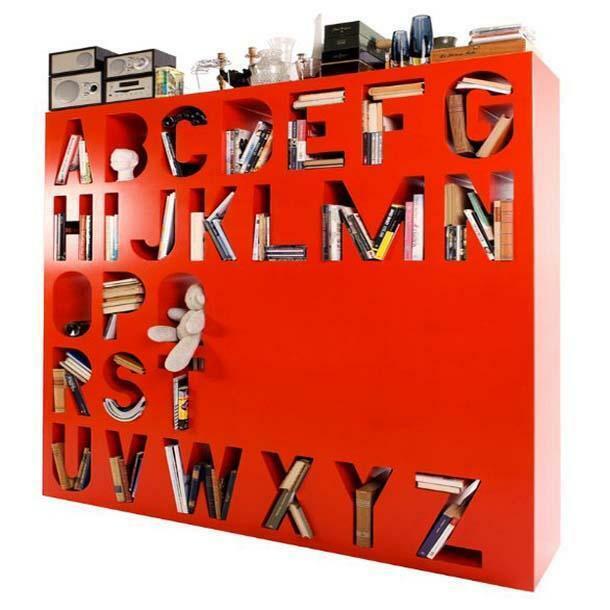 For those who want something more immediate, there are the letters by Seletti spa, wooden or in metal, medium-sized and freestanding, to furnish the library maybe somehow yesteryear, perfect as well as bookends. A low cost proposal comes from the internet and is called Dawanda.it. 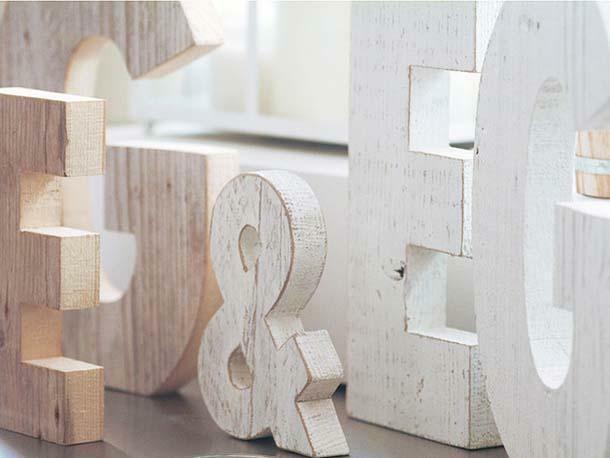 On the web site you can find a wide range of proposals, all charming and affordable; among these, the letters Nuvole di Legno made in recycled wood bleached with the technique of shabby chic or left natural. The thickness of the numbers and letters is about 2cm and enables most of them to stand alone. For some letters instead you must use a support or adhesive. A graphic sign that fits well in a country or shabby style kitchen. Again on Dawanda we find the letters obtained by cutting a metal sheet of 1.5 mm and welding the edges, as was customary in the 60s. The parts are subsequently coated and painted to stop the oxidation process. If you have a bit of artistic talent and creativity, in the DIY centers there are letters, usually in raw wood or plywood, easy to decorate with spray paint and adhesive wallpaper, or to be coated with sliced corks, woolen threads and all that your imagination suggests. After choosing the word or the letters to remake, you need to determine the character, enlarging the selected size and tracing the outline on paper. Then wipe with the graphite paper the plywood board, cutting out carefully, with the aid of a saw, the shapes of the letters and abrading the entire object, trying to pay close attention especially to the outline. If you want a rounded effect, it is better to work well the outline of the letters, again with sandpaper, but choosing one of a slightly higher grain. Once the template is stretched a base coat plaster, with a bristle brush flat, leaving it to dry thoroughly, waiting for the second and final coat. When the background is ready and you have chosen the acrylic color tone that you want to use continue decorating, avoiding unsightly smudges or drips. Finally, to protect the obtained result, it is fine to pass two coats of matte finish, stretched in two stages, at a distance of at least 12 hours, for the finish in aqueous solution; 24 hours for solvent paints. Same procedure for coating with glue and wallpaper, maybe to be applied on a wall or in contrast to alternate the previous, once the operation is completed. Valutation: 5.69 / 6 on 13 votes.